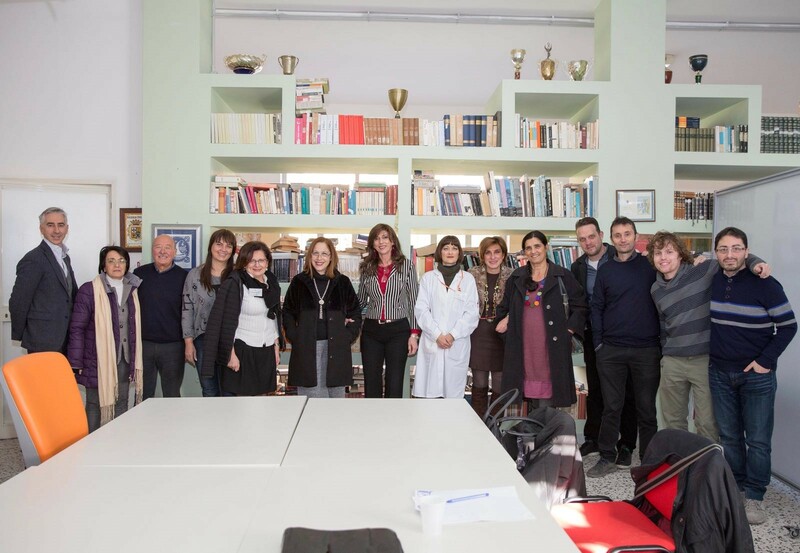 Third Meeting about NEWTON “GAM LAB” Pilot has been held at “Santa Caterina-Amendola” Institute in Salerno, Italy on December 6th 2017. Participants in the event were Fabio Di Salvadore and Giuseppe Guarino from QUI! Group, Carmine De Nicola from Beyond, Jim Playfoot from White Loop, Michal Mjartan from ATOS Slovakia, the NEWTON Advisory Board Member Prof. Domenico Cariello, some teachers and the Headmistress from the two involved Italian Associated Partners, “Santa Caterina-Amendola” (Prof. Annarita Carrafiello, Prof. Rosangela Cuoco, Prof. Maria Rosaria Vincensi, Prof. Annella Papa) and “Da Procida” Institute, (Prof. Annalaura Giannantonio, Prof. Clementina D’Amico, Prof. Maria Grazia Rubino, Prof. Maria Rosaria Citarella). The event had a triple purpose. 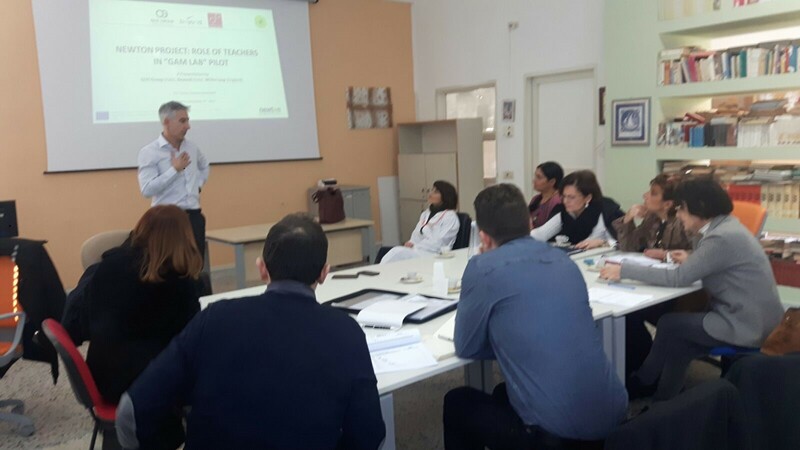 Firstly, sharing among participants the status, progress and issues about planning and deployment of NEWTON “GAM LAB” Pilot, by putting attention on general pathway operative process and specific roadmap and to the collection of ultimate feedbacks from Teachers and School Managers. Secondly, sharing the aims, principles, procedures and expectations regarding the role of teachers in the different activities of the Pilot. Finally, planning future activities. An interesting open discussion on various educational topics regarding Pilot’s objectives took place. Participants’ points of view, ideas and issues about didactic operative process definition (for Maths and Chemistry topics), content generation and related delivering lessons, evaluation approach to be followed and role of teachers, target classrooms choice were analyzed in detail and appointed for proper solutions amidst the Project Partners involved. 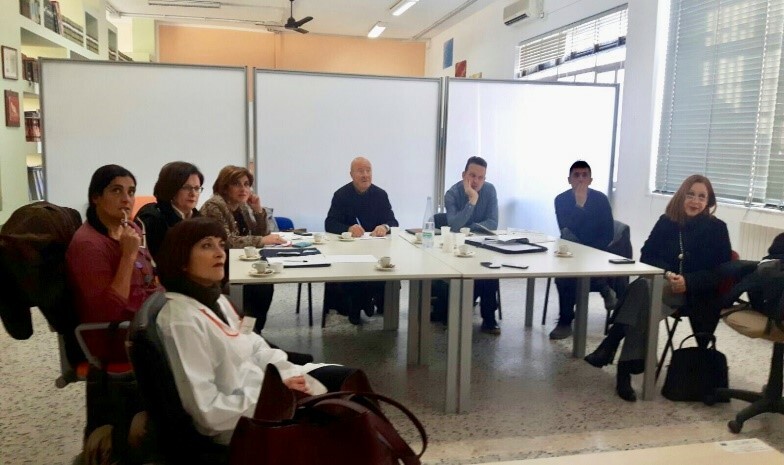 All the teachers and headmistress agreed on the role expectations and confirmed to be generally confident with the evaluation methodology presented, showing themselves available to cooperate as requested and also giving their own specialized feedbacks and contributes, in particular, in terms of assessment activities. A further exchange of documents focusing on detailed description of scenarios and Pilot planning with specific instructions regarding evaluation methodology, tasks and tools will be delivered in order to take steps forward, following a “continuum” approach.